The main purpose of The Journal of Urban Culture and Management (JOURAC) is to provide scientific and academic studies for the benefit of the people of the world to ensure that Turkish and world cities become more prosperous, more liveable; by publishing the architecture, administrative, economic, environmental, and engineering studies in the context of the city; and the literature studies in the context of the language and culture of the city in a multidisciplinary and interdisciplinary mood while acting as the academia of the urban areas where the 80% of the world population live. 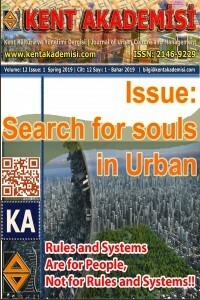 The Journal of Urban Culture and Management aims to pave the way for the scientific productions in urban areas and to make faster contribution to development and institutionalization of the cities, and to make more voluminous added values to the world civilization by taking the decision to make its publishing period four times a year. 1. 1. Cares about its multidisciplinary and interdisciplinary structure and aims to encourage it. 2. 2. Accepts the cultural and ethnographic identities of the cities as world heritage and aims to create this consciousness. 3. 3. Aims to strengthen the importance given to the world heritage concept by people in the context of urban culture. 4. 4. Aims to lead the protection and introduction of the prehistoric remains with the cultural combination of the world cities, specifically Anatolian Territorry which is the credle of civilizations.